Reading about history is great. But there’s another really fun way to discover it – looking at pictures! Just as simple as it sounds. Maybe you’re thinking – hang on! How can a picture teach me about history? But the thing is: pictures are jam-packed with clues, if you know how to read them. The people you see. The clothes people wear. The objects around them. Even the types of pictures you’re looking at. 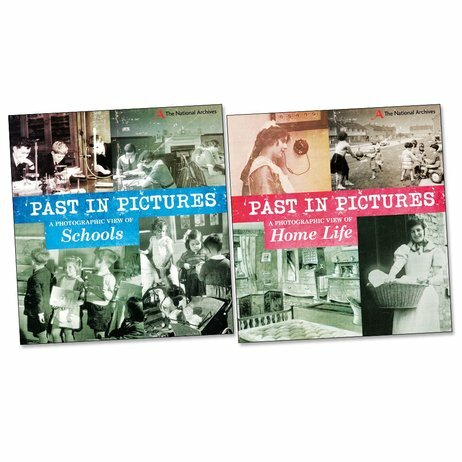 In these books, you’ll look at photos of home life and school life, from Victorian times to modern Britain. What can they tell you? Each image is like a code – and you’re going to be the code-breaker!